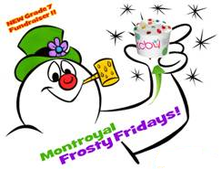 You are all invited to Montroyal's fundraiser. 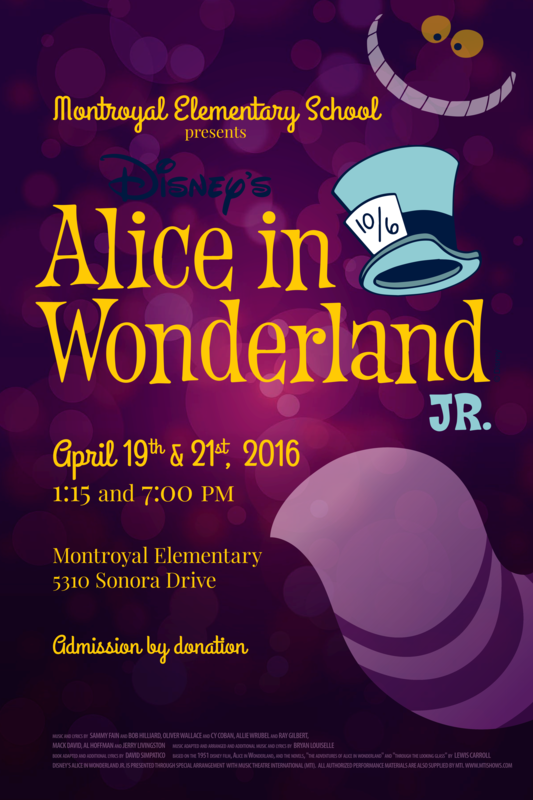 A great fun night out with a goal of raising $20,000 towards new classroom laptops. Bring your friends and family. 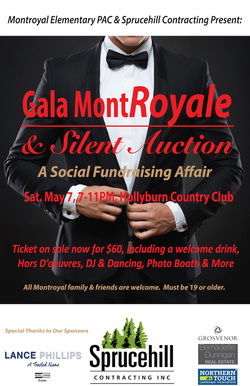 Login to montroyal.hotlunches.net to get your tickets! $60 per ticket. Cannot make the party? Please consider donating. Check out more details HERE. We're getting lots of great donations - please keep 'em coming! Amazing art pieces will be created by our Grade K-3 students for our Silent Auction. Our artwork organizers need parent volunteers in the Grades K-3 to help over the next 2 weeks. It will involve simple jobs like priming and sanding wooden blocks and, overseeing students while they paint their designs on ceramics. Volunteers should email Lorna Moffat at lornamoffat.design@gmail.com if interested or for more info. April 19th & 21st - Alice in Wonderland Jr.